Duluth’s most highly recommended floor refinisher! For more than a decade, Dunbar of Duluth, Inc. has been the Twin Ports’ premier provider of flooring solutions. We are proud to provide communities in and around Duluth, MN with hardwood flooring services. You can count on us to provide flooring that will withstand the tests of time! Since 2006, Dunbar of Duluth, Inc. has been the foremost source of hardwood flooring in Duluth, MN. We aren’t just flooring contractors – we are artisans and craftsman. You can rely on our extensive experience and expertise to make even the shabbiest hardwood floor shine like new! We can help you elevate your living space and raise your property value. Additionally, you can count on us to perform regular maintenance and furnish you with helpful tips and hints to keep your flooring looking its best. Our team is known for its attention to detail and intensive dedication to client satisfaction. For your piece of mind, we are an insured flooring contractor. Dunbar of Duluth, Inc. can install new flooring and restore existing hardwood. We provide free estimates for flooring installation, restoration and refinishing services. Our team members pride themselves on their craftsmanship and attention to detail. Our dust containment system ensures a safe and allergen-free sanding process. 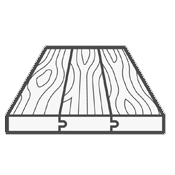 If you’re in need of hardwood flooring installations or services, contact one of our helpful associates today! We’ll be happy to provide you with an estimate on your project. May 8, 2018 Timothy S.
"Dunbar of Duluth did great work on our wood floors after we experienced some water damage. The care that the company took to ensure even the..."
April 17, 2018 Bob F.
"Scott and Isaak installed a kitchen floor in my office. They came when they said they would, did a fantastic job installing and went the ext..."
April 12, 2018 Timothy S.
December 20, 2017 Susan W.
"If you want it done right, go with these guys. 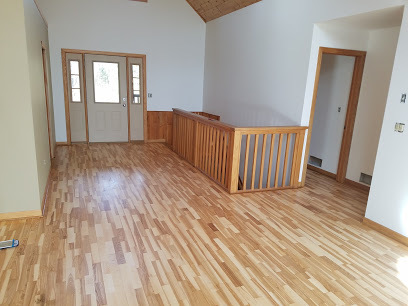 When problems came up while they were refinishing our old hardwood floors, they went above an..."
December 5, 2017 Kathryn M.
"Scott and Issac just completed installing new pre-finished hardwood floors in our house. Their work is impeccable. It is difficult to find c..."